With more than 75 events in 2018, including training sessions, ILA offers a wide range of courses on various fields. Whether you are a newly appointed Director or an expert in Corporate Governance, our trainings, given by professionals, aim at maintaining the highest standards of competence and ensuring that you remain effective as directors and board members by enriching your skills. ILA will also start developing e-learning solutions for the second semester 2019, offering the opportunity to attend the "AML for Fund Directors" course online. The course is designed for new aspiring directors (executive and non-executive), as well as board members representing employees, senior managers, company secretaries and other professionals interacting with boards who are looking to gain essential understanding of the role of a board and its directors. The purpose of this specific training is to provide directors with practical knowledge on financial reporting in order to understand how to read and interpret financial reports as an independent director. This course is dedicated to non-executive directors that do not have a professional accounting background but that would like to acquire insight on how to read and interpret financial statements. To fully benefit from this introductory class, participants are expected to have a basic knowledge of corporate accounting. This class is not designed for qualified accountants, chief financial officers, controllers and similar professionals dealing with financial figures on a day-to-day basis. The objective of this course is to offer participants a hands-on experience rather a theoretical class. As such, participants will be provided with multiple real-life financial reports for review, analysis and class discussion. Company valuation becomes increasingly important in today’s environment where auditors as well as the CSSF become ever more demanding. Therefore, directors should understand at least basic principles, and be able to correctly document and keep track of valuation parameters across investment projects and across time. ask the right questions when valuations are presented to them, either during M&A buy- or sell transactions, or when asked to sign off on the company’s annual accounts (assuming the company owns unlisted equity investments). The program is delivered over eight interactive modules which are run by local practitioners and experts. The content involves not only formal presentations, but also case studies based on real-life experience. Each module offers discussion opportunities and sharing of experience with both presenters and other course participants. The purpose of this specific training is to provide directors with the knowledge they need to understand various issues related to the way they structure and market themselves as a Director, including overviews of personal tax and related obligations. This program will enable participants to identify the role and responsibilities of a director in relation to their own professional and legal obligations, and keep abreast of current developments, trends and topical issues. The course is dedicated to executive and non-executive directors wishing to develop their career as a Director, and to better organise and promote themselves. 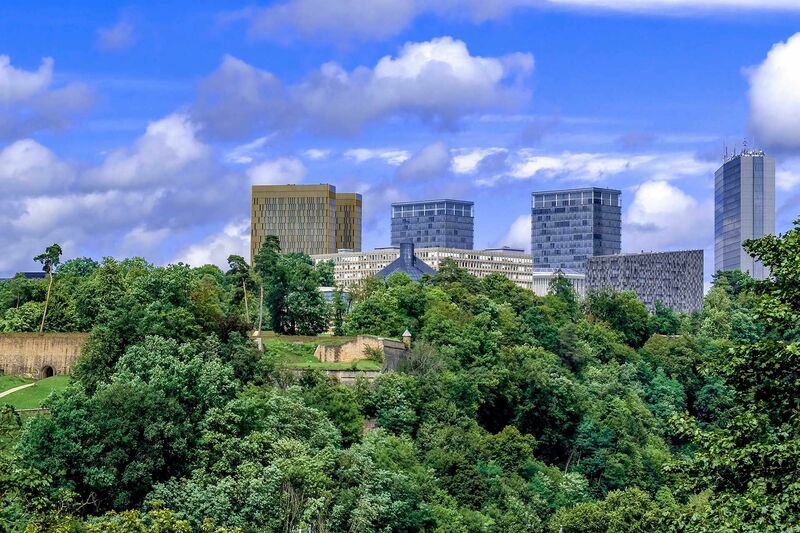 The ILA forum for Directors of Luxembourg Credit Institutions is Luxembourg’s original and leading venue for bank directors and senior executives to discuss pertinent topics for bank boards. The forum is designed to engage board members and senior executives on corporate governance regulation and the corresponding demands on board transparency, increased director accountability, and increased dialogue with management and regulators. The Board of Directors must have appropriate knowledge, understanding, and professional experience and, collectively, its members must have a thorough understanding of the bank’s strategy, risks, and of the overall industrial, economic, and regulatory environment. This Forum is an opportunity for directors to receive an update and exchange on latest developments, including an opportunity to discuss the practical implementation of governance frameworks. In previous years, participants and speakers have included Board Chairs, CEOs, regulators, bank directors and control functions. This seminar is organised by the House of Training, in close cooperation with ILA and ALFI. It will allow members of Board of Directors to identify the best governance practices for funds and to identify and manage conflicts of interest. This interactive seminar includes theoretical basics, presentation on the regulatory novelties by professionals and exchange between participants through the resolution of a specific corporate case. Although corporate governance is at the centre of most topical debates, members of Boards of Directors of companies and collective investment schemes still tend to underestimate the extent of their legal, regulatory and financial responsibilities. The purpose of this seminar will be to comment on these key issues and to consider possible lines of actions. 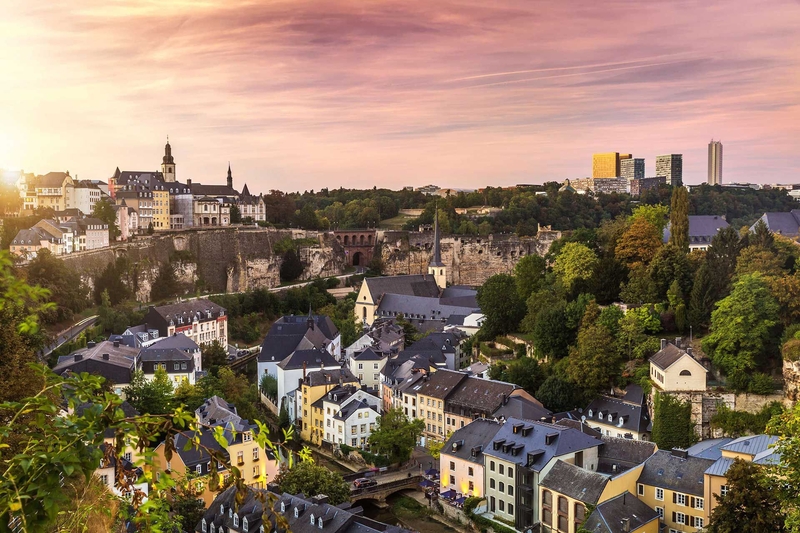 With the transposition of UCITS V into Luxembourg law, significant changes were made to the administrative sanctions regime applying to breaches of the law by funds, their management companies, their service providers and the respective management teams. The list of wrongdoings potentially giving rise to sanctions has been extended and the types of sanctions revisited so as to inflict harm on potential offenders and deter them from committing the same breaches. Reinforced prevention can avert exposure to a sanctions procedure. Should such a procedure be nevertheless launched against you, certain steps need to be undertaken to avoid or reduce as far as possible the sanctions imposed on you and your organisation. This 3-hour course gives you more insight into the possible infractions under funds laws as well as the organisations and functions which could be subject to a sanctions procedure. It also details the timeline and steps of a regulatory investigation and provides an analysis of the various processes which can trigger a regulatory investigation giving rise to a sanctions procedure. In addition, the course also maps out the process for responding to the regulator in the context of an administrative procedure as well as the various remedies and options available in the case of such a procedure, including various forms of appeal that can be made against an administrative decision. The objective of this 4-hour session is to provide Fund Directors and Board members with an understanding of their increasing role, responsibilities and obligations for preventing money laundering and terrorist financing. Thanks to their professional experience in the Investment Fund Industry, our experts will cover not only the fundamentals of the prevention of money laundering and the regulatory environment from a Luxembourg perspective, but also how to deal in case of suspicion of money laundering or terrorist financing. This training will be interactive and practical examples will be used to enhance the learning. This course is dedicated to Fund Directors. A subsidiary has, by definition, one shareholder which holds sufficient rights to nominate, directly or indirectly, a majority of the Board of Directors. By extension, this same shareholder can nominate the management of the subsidiary. The major shareholder therefore has bearing on all major decisions pertaining to the subsidiary. The major shareholder is typically the largest investor in the subsidiary and therefore the most exposed to its risks. However, such a shareholder often sees corporate governance as an obstacle to the integration of the subsidiary’s activities within its group. A Director of a subsidiary often sees his role reduced to a simple rubber stamp of decisions taken at the shareholder level, or face being removed from the subsidiary Board by the latter. This workshop identifies the legal responsibilities and obligations of a Director of a subsidiary and how to constructively manage the conflicts arising with the interests of the major shareholder. It also identifies the advantages to the major shareholder of good corporate governance at the subsidiary level as well as some key ideas to assist with designing a governance model which efficiently integrates the economic, legal, financial and commercial relationship between the subsidiary and the overall objectives of the group. En comparaison, l’entreprise de taille petite ou moyenne (« PME ») typique est une activité dont le propriétaire est aussi dirigeant ou gestionnaire. Il est intégré dans la prise de décision quotidienne en tant que manager, en tant qu’administrateur, ou souvent les deux : l’actionnaire est même un élément clé au bon fonctionnement de l’entreprise. Les problématiques de gouvernance sont souvent plus ancrées dans l’accès à un soutien objectif pour la prise de décision et dans la continuité et valeur pérenne dans l’entreprise. Cette formation reprend les principes essentiels de la bonne gouvernance et les applique de manière pratique à l’environnement particulier d’une PME dirigée par son propriétaire majoritaire ou d’une entreprise familiale. Integrity, the respect of a consistent framework of ethical or moral principles based upon a core group of values, needs to be considered by company directors beyond formal codes of conduct and regulations, now more than ever. Moreover, the board’s approach to integrity has to spread outward from the boardroom in order to permeate the whole culture of the organization. As scandals have decimated share prices and board credibility, integrity has become one of the critical elements of governance that companies are looking to reinforce; beginning at the “top”. The 2015 OECD report on Corporate Governance suggests corporate leadership is indeed taking integrity more seriously. However, the key question remains: what can we, as directors, do to enhance the role of integrity in the boardroom? A 2-day interactive programme where participants will be placed in simulated Board meetings for a fictitious operating company in order to identify the impact of human interaction on collective decision making and how to improve the overall Board dynamic. The Chairman and CEO roles will be played by highly experienced persons exercising these roles in real life, and will give valuable feedback along with the governance expert on the collective dynamic. Participants will receive a digital Board pack 10 days in advance of the course and, as with any Board meeting in real life, will be expected to prepare for the simulated meetings in their spare time. Participants will not require any technical knowledge to understand the industry in which the fictitious company operates. Mergers and acquisitions are an established way for companies to get scale quickly and achieve their objectives faster. However an acquisition carries significant execution risk both for the seller and for the buyer, not only in terms of price, but with respect to the terms and conditions of the transaction, to be negotiated between buyer and seller. An experienced seller will maximize competition amongst several buyers to get the best price, meaning that buyers face the additional complexity of a process they do not control without necessarily having visibility of their rivals. The purpose of this specific training is to provide directors with an introduction to how digital technologies (commonly referred to as Industry 4.0 or with industry specific references such as FinTech, RegTech, HealthTech, EdTech, etc.) affect the business model and strategies of a company, to enable them to contribute more effectively to boardroom discussion, and to give guidance for further learning, both self-guided and through further ILA Digital Director courses. This program will enable participants to understand the impact of digital on business models, start from a position of confidence in discussing digital business in the boardroom, and to be familiar with the key trends in digital innovation facing business today. What role should Social Media play in your company’s strategy? Are you making the most of social networks in terms of new customer acquisition, market research or recruiting? How well prepared is your company for a Social Media crisis? With adults spending more than 2 hours a day on social networks, Social Media has become an inevitable communication channel with customers, suppliers and talent, and should be part of any company’s strategy. The cyber risks involved in a negligent digital strategy are to be considered and tackled by the board as well. This training is addressed to Directors and will give an overview of the main opportunities and challenges that Social Media brings. If meetings are to be genuinely effective, the role of the chairperson is key. All who are involved in chairing meetings in organizations at whatever level should be proactive in giving the necessary attention to the essential elements of meeting preparation, meeting execution and post-meeting evaluation. Taking ownership of the development of the range of chairing skills will contribute positively to the effectiveness of meetings held and by extension, the quality of the decision-making processes within organizations. This one-day course looks at the skills chairs and company secretaries need for delivering a successful meeting through the 3 following aspects; careful planning (before the meeting), chairing capability (during the meeting) and critical evaluation (after the meeting). This program is a combination of classroom teaching, interactive exercises and sharing of experience through roundtable discussions. This course will explore the challenges facing the non-executive director (NED) on the Board in dealing with stakeholder, group and personal interests relative to independence issues. Split Loyalties – Whose Director are you anyway? In a globalised economy, the financial sector is increasingly exposed to the risks of tax evasion, tax avoidance and tax fraud. In an effort to prevent and minimise respective tax related risks, the OECD launched, over the past 4 years, different tax driven initiatives notably the Common Reporting Standard (hereafter “CRS”) as well as the Base Erosion Profit Shifting (hereafter “BEPS”). Further to these OECD initiatives, other rules against tax crime have been agreed on at the EU level such as the European Action Plan to fight terrorism financing and the Anti-Tax Avoidance Directives 1 & 2 (“ATADs”), which shall be implemented in domestic legislation by 31 December 2019.
a high-level and comprehensive understanding of the Luxembourg legislative and regulatory context regarding tax crime. Nowadays, there is an absolute necessity for corporate entities to integrate environmental and social issues into their business model. It reinforces the strategic role of the Board, and increasingly provides an effective opportunity for value creation. With this course, we are going to raise awareness on ESG/Sustainability by sharing fundamentals/insights and demonstrating the added value through example and create and connect the community of Sustainability ambassadors within ILA. This introductory module defines the basic terminology to align language and vision. It explains the regulatory framework on extra financial reporting and addresses the corporate sustainability strategies and corporate impact strategies. The advanced module covers investing patterns that influence corporate behaviour, and presents innovation and technology solutions in this field. Break-out sessions to discuss international best-in-class examples from each industry are proposed. Before, during and after the training, detailed feedback is collected from attendees in order to design a complete in-depth course. are ultimately liable for in case of misconduct). This course targets exclusively the past alumni of the Role & responsibilities of Fund Directors : Level 1 course and follows on from that seminar providing updates, deeper dives and further learning opportunities regarding the most relevant current topics for fund directors. The content of this seminar covers important new regulations, best practice, guidelines, research and reports that are continuing to change the way fund directors are practicing their governance duties. The overall objective of this Masterclass is to help experienced Directors in asset management to develop a mindset which helps them to react to challenging and abnormal situations that they may face from time to time. During this Masterclass, Directors are faced with challenging crisis situations which test Board cohesion and competence. The Masterclass is run as a series of case studies reflecting real life examples of crisis situations in a “role play” format. There will be no perfect solutions offered, but good practices will be identified in debrief discussions. This Masterclass focuses mainly on alternative asset management, taking the perspectives of Alternative Investment Fund Managers (AIFMs) and Management Companies, Alternative Investment Funds (AIFs) and their General Partners. "Our business environment is evolving almost as fast as space technology. By the time an educated and alert person has understood and digested a new regulation, five others are awaiting at her entrance doormat. It is only thanks to supporting structures, such as ILA, and constant training that a director can keep-up with the norms and regulations, and add value to his directorship, whatever are the size of the company and the sector he is coping with." "The framework provided by ILA in parallel with any international programme gives you a genuine business context to know, understand and promote best practices in Luxembourg in the field of Corporate Governance.